"I've gone through all my books and put together this collection of my most treasured recipes and memories for the holiday season to share with you...You'll find a few new dishes, a sprinkling of new holiday stories, and some family pictures you might not have seen before." There's no holiday Paula Deen loves better than Christmas, when she opens her home to family and friends, and traditions old and new make the days merry and bright. 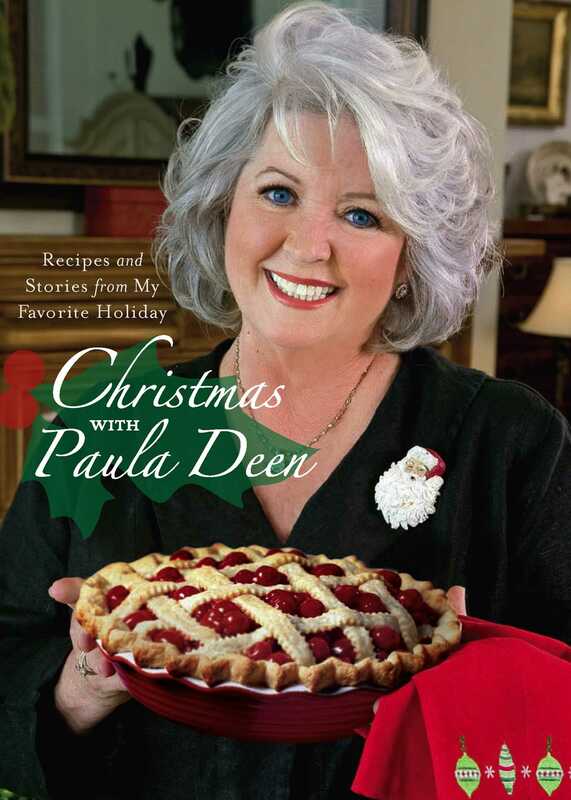 Filled with Paula's trademark Southern charm and happy reminiscences of Yuletide seasons past, Christmas with Paula Deen is a collection of beloved holiday recipes and stories interspersed with cherished family photographs. Included are Paula's most requested homemade gifts of food; a collection of cookies sure to become your family's favorites; easy dishes for a Christmas breakfast or brunch that will let you enjoy the food and your guests; impressive fare for Christmas dinner and holiday entertaining and, of course, spectacular cakes, puddings, pies, and other sweet things. "So Merry Christmas, y'all, and best dishes and best wishes from me and my family to yours."